Answering: What is the Difference Between an MP3 Player and an iPod? Understand What an MP3 Player Is, First! In answering "what is the difference between an MP3 player and an iPod", let's first see what an MP3 player is. An MP3 player is basically a portable music player (PMP) which means a digital portable music player that can download and save digital music files from a computer to the player. Previously PMP devices included portable CD players and Walkmans but MP3 players have replaced them not only in size but also in storage space. An MP3 player can store hundreds and thousands of music files. Technically an MP3 player is a type of digital audio player that is usually small and weighs less than an ounce. It is a compact device that uses flash memory for MP3 file storage. It supports different audio file formats like MP3, WMA, WAV, MIDI, AAC, OV etc. Some MP3 player models also play video files and display picture slideshows. MP3 players use flash memory and software to transfer music from a computer to the player. Other features in these players are play listing, radio, web streaming, equalizer, backlight color changing and data transfer from a computer via USB cable. Once the file is transferred to the player, it is stored in the player’s memory permanently from where you can play it whenever you want conveniently. Most MP3 players are battery powered or have an AC adaptor for charging through a power outlet and many of the new models can be charged through a computer's USB port, through a USB cable. image credit: Sony promotional image. y be wondering, if iPod is just an MP3 player then why there is a confusion between an MP3 player and iPod? Well the answer to this is simple – since iPod is a PMP that has a name whereas other MP3 players do not have a name, or are not called by consumers by any name; some people think that iPod is something other than a MP3 player or a special music player that is particularly attuned to someone's needs. So why is iPod so popular? This is because it is really simple to use, comes in different shapes, designs and specs, and can have seamless integration with the iTunes software and iTunes Music Store. Basically, iPod was designed for Mac lovers and to work with the existing music organizer Apple iTunes. Today iTunes Music Store is the largest online music store on the internet that gives access to millions of high quality songs, with one-click no-hassle purchase experience. You can download these songs as well as different types of applications directly to your iPod. Furthermore, iPod and its accessories are conveniently available in every Wal-Mart and online shopping stores. Many MP3 player manufacturers like Microsoft, Sandisk, Toshiba, etc also make very good MP3 players but not all of their players offer a complete music listening experience. Also, iTunes Music Store like online music store is not offered by all MP3 player manufacturers. These and some other are the reasons as to why Apple iPod is more popular than other MP3 music devices. image credit: Apple promotional image. We found out from this article the answer to "what is the difference between an MP3 player and an iPod", that iPod is a registered brand name given to an MP3 player manufactured by Apple Inc. The reason why Apple named their MP3 player is probably becasue the company wanted to make their MP3 player sound distinct from typical MP3 player devices and get more attention, due to a name that other MP3 players lack. In the industrial statistics of 2007, Apple had sold more than 110 million iPods worldwide. This has made iPod as the best selling product in the history of digital audio players. 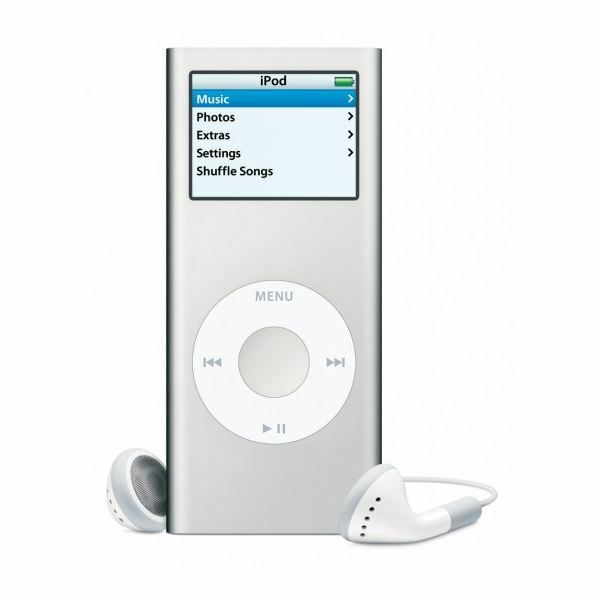 Due to this popularity the company has extended the iPod line by including variations like iPod Classic, iPod Shuffle, iPod Mini, iPod Nano, iPod Touch and iPod Photo.